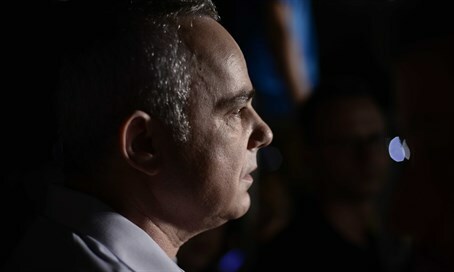 Energy Minister Yuval Steinitz (Likud) responded on Friday to the morning's report revealing that the US and UK have infiltrated Israeli intelligence for the past 18 years, hacking into the video broadcasts of Israeli drones conducting sensitive missions in the region. Steinitz, who served as Intelligence Minister in the last government, said he was disappointed by the revelation, made by Yedioth Aharonoth from documents and images exposed by National Security Agency (NSA) whistle-blower Edward Snowden. "We are not surprised. We know that the Americans spy on everyone including us, their friends," he told Army Radio. "It's disappointing nonetheless because of the fact that for decades we haven't spied or gathered intelligence or broken codes in the United States." Steinitz's comment refers to the case of former US Navy intelligence analyst Jonathan Pollard, who was arrested in 1985 and jailed for 30 years - half his life - before being paroled recently. Pollard was charged with spying for Israel, after passing information on regional threats to the Jewish state, and even now he suffers from unprecedented draconian parole conditions. The American and British spying operation, called "Anarchist," focused on Israel and saw codes cracked allowing access to broadcasts from drones to Israeli bases in various areas, including in Iran ahead of an apparent planned attack on Tehran's nuclear program. Despite Israel being an ally of the US and UK, they also penetrated F16 fighter pilots' heads-up display, in one case showing the aircraft tracking a target on the ground. "It's as if they sat with them in the cockpit," wrote Yedioth Aharonoth. "It's a look into the secret Israeli combat world. Potential targets, aims, priorities and capabilities, from Israel's view of its enemies. The United States and Britain profited from Israel's superb intelligence abilities and saw everything that Israel saw."